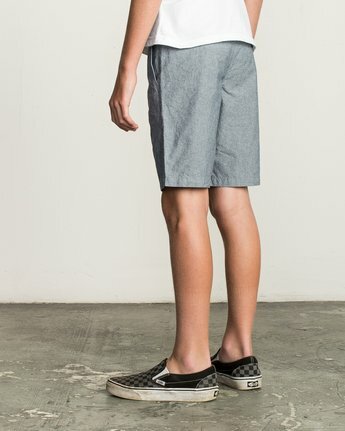 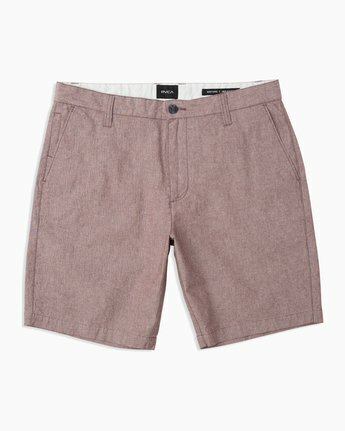 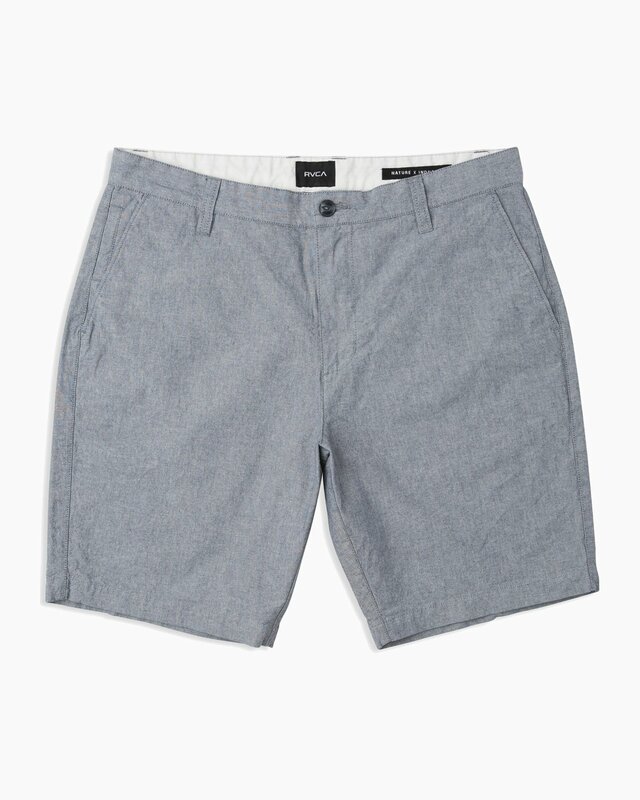 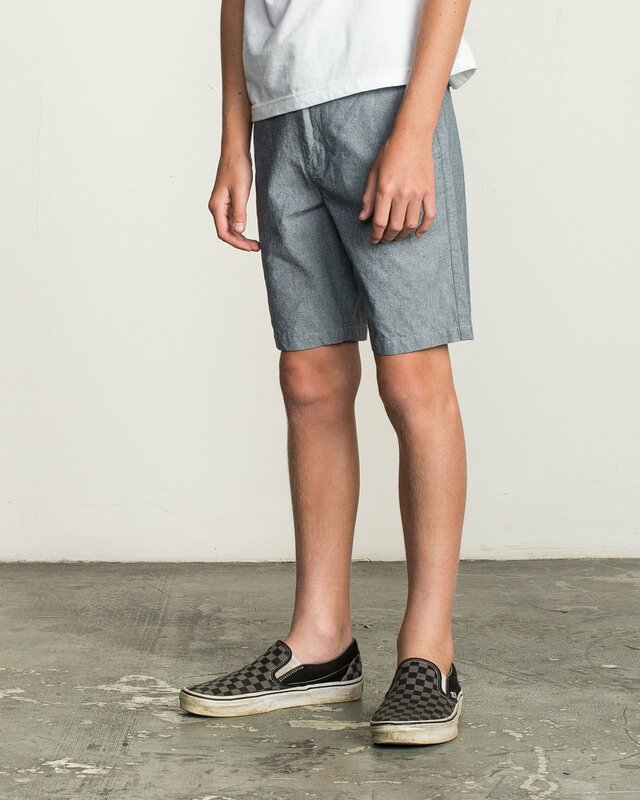 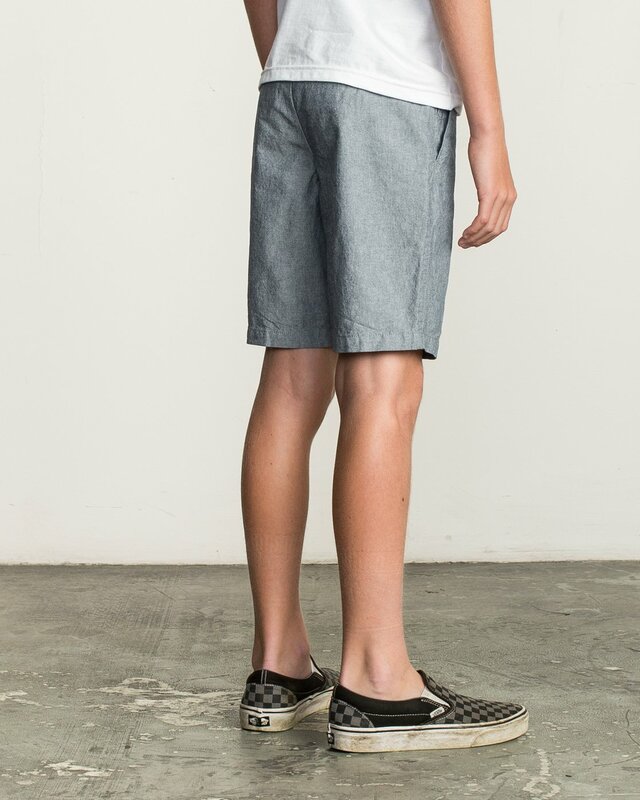 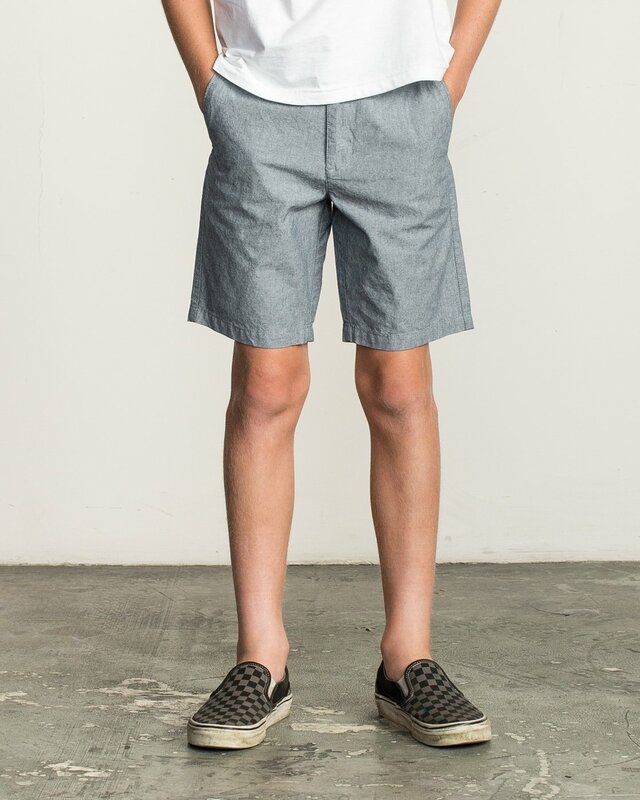 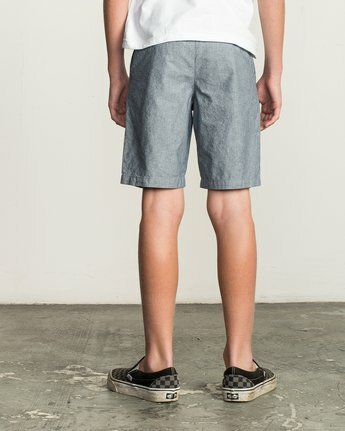 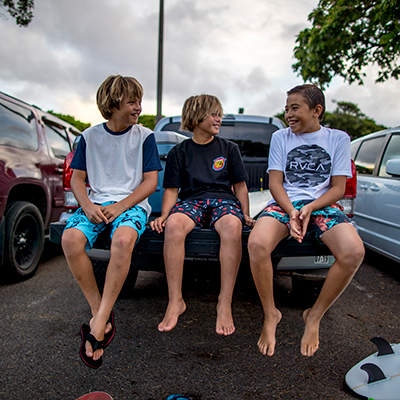 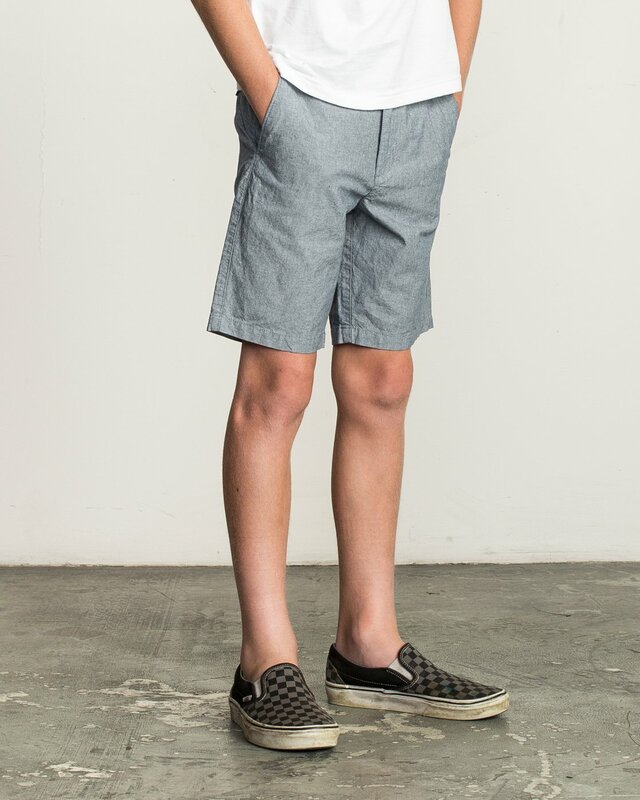 The Boy's RVCA That'll Walk Oxford Short is an oxford short with front slash pockets and a coin pocket. 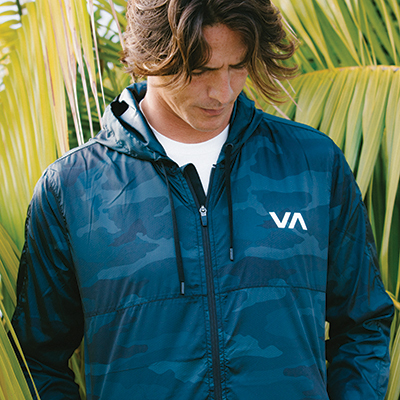 It has a zipper fly and back welt pockets with RVCA button closures. 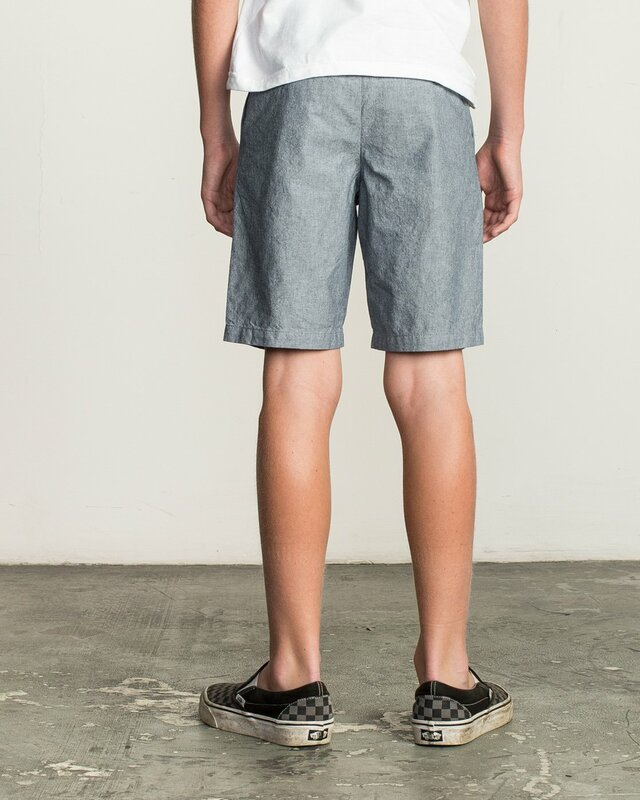 Finished with a RVCA solo label at the back right pocket.